This week, Dieu du Ciel! is releasing a new winter mix pack called Caisse d’hiver! Starting this week, it will be available for purchase in stores all across the province. This soon-to-be illustrious case of beer contains four different barrel-aged creations for us to sip on over the holidays. Three of these beers are returning champions, and one is brand spanking new! Hérétique Blonde is back once again with a new batch. 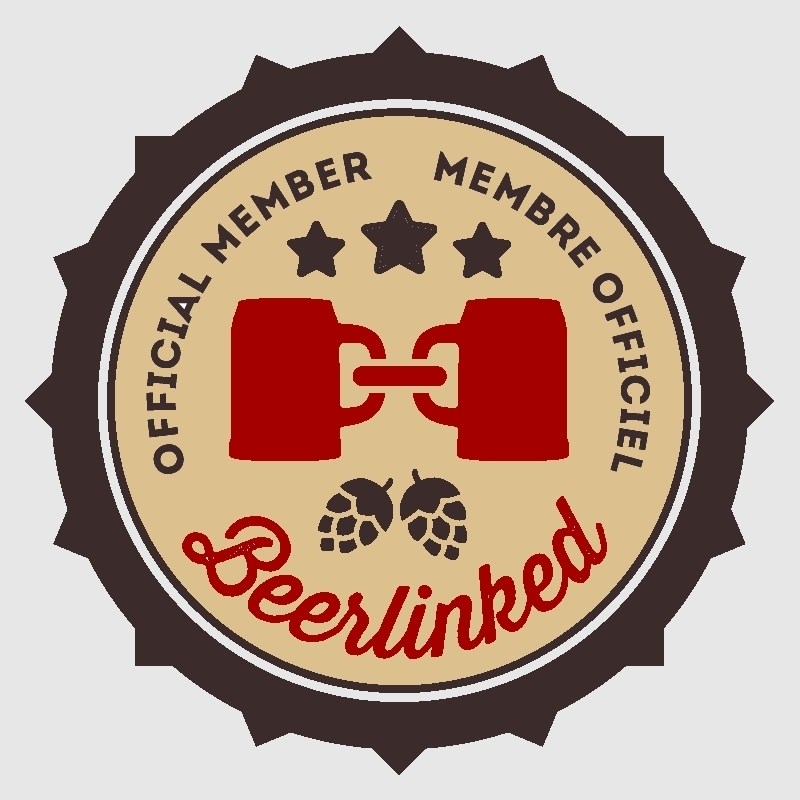 This barrel-fermented and barrel-aged brett beer is tart, funky and delicious every time. As well, a new batch of Dernier Velonté (Belgian IPA) aged in Pinot Noir barrels is back – and historically, it’s always fantastic. Aphrodisiac (Dieu du Ciel’s classic chocolate vanilla stout) spent some time aging in Rum barrels and is included here as well. This is only the second time that this beer has seen the light of day. It was an extremely popular and sought after variant a few years back, so I anticipate the same this time around. Finally, the last of the bunch is a beer called Invasion Brettanique: a barrel-aged old ale fermented with brett. It’s the first time that this beer has ever been bottled, so I’m particularly interested to dive into this one. I was fortunate to get a case a bit early, so let’s get started. 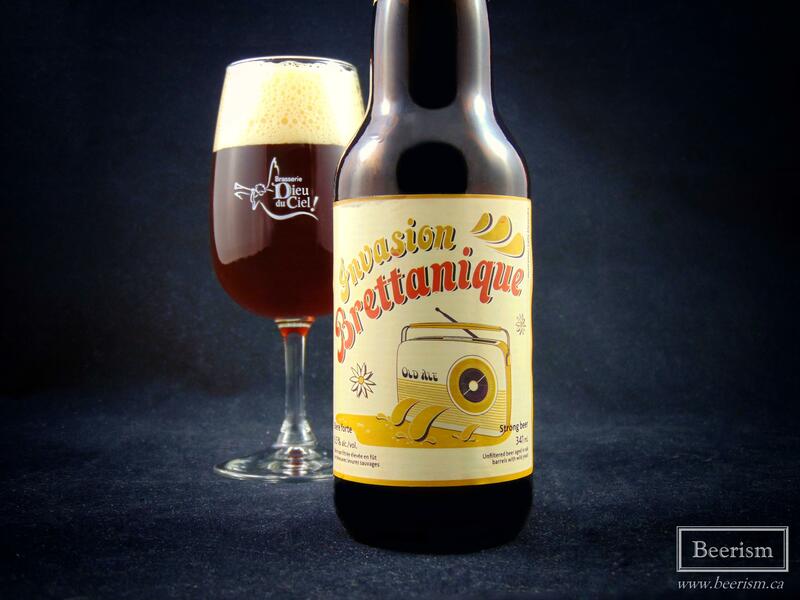 Invasion Brettanique is a barrel-aged old ale, fermented with brettanomyces. The nose is a musty mix of dry brett phenols alongside some toasted nuts, cooked sugar, caramel, coffee and light acidic compounds. The palate carries less caramel than anticipated, and instead is richer in fruitiness, with crisp apple and pear at the forefront. Dried fruits comes through as well, with flavours of rich dates and raisins. That said, it’s also quite bright, carrying lots of earthy zestiness. The oak is present, but not particularly intense, adding a light spiciness to the whole thing. The tannic vinous notes (alongside the brett) help keep the beer quite dry, while there is also a nice touch of tart acidity that cuts through the richer layers. The body is through the roof, carrying an amazing luscious mouthfeel, making for a rich creaminess all around. Invasion Brettanique has a particular flavour profile that carries similarities to Hérétique Blonde and Hérétique Obscura, while still very much being its own thing. There is a zesty brightness from the microflora which contrasts the rich and bold malty base perfectly. A lovely beer overall, but it its certainly a touch off the beaten path and might not be for everyone’s tastes. Aphrodisiaque is Dieu du Ciel! ‘s chocolate and vanilla stout and this version is aged in run barrels. 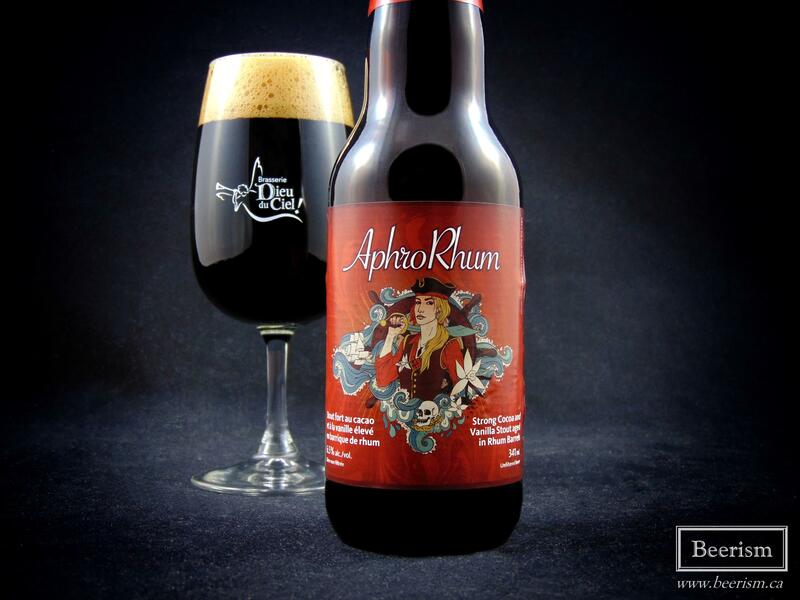 As I was mentioning above, this is the second time Aphro Rhum has made it’s way into our hands. Up front on the palate I’m hit with a blast of (at first) seemingly intense sweetness, but it instantly transforms into nothing more than an essence of sugary dark rum. It’s actually very dry, consisting of lots of chocolate and vanilla, alongside loads of rich rum-soaked oak. The body is robust and full, while the finish is long and slightly astringent, with some lingering caramely rum-infused heat. I need more of this beer in my life. 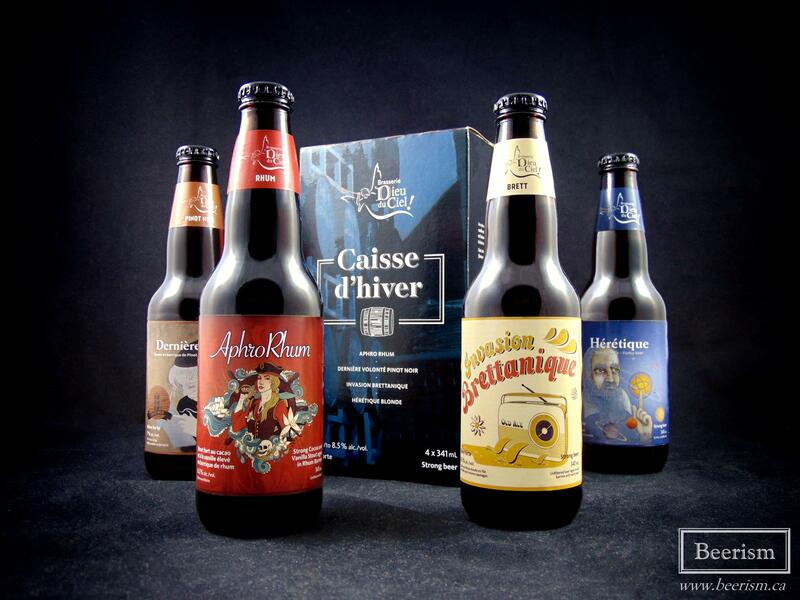 Dieu du Ciel’s Caisse d’hiver is hitting stores today. As expected, these returning barrel-aged bottles as well the brand new Invasion Brettanique were delicious. That said, I think the Aphro Rhum alone is worth buying the case, so I wouldn’t hesitate. Enjoy! Sounds like I need to make a little trip to the Fromagerie at Atwater Market, I presume they’ll have it there (I hope! ).